Time slots for late-night programming have seen a foreign invasion in the past year, thanks to Brits James Corden of CBS’ “The Late Late Show” and John Oliver‘ of HBO’s “Last Week Tonight,” to say nothing of introducing Jon Stewart‘s South African “Daily Show” successor, Trevor Noah. Wolf, a 45-year-old Massachusetts native and longtime standup comic, gained notoriety as a panelist on Chelsea Handler‘s defunct E! show “Chelsea Lately.” She now serves as executive producer on Wolf’s project, which CMT will premiere on Thursday at 11 p.m. and then air five nights a week. Self-deprecation will get him far, given how well it’s served the likes of Amy Schumer in her frequent skewering of her own looks and talent. But Wolf isn’t looking to sell sketch comedy, nor is he trying to be the next David Letterman. Dinsmore said the network’s confidence was boosted by its success with original programming like CMT’s biggest ratings performer “Party Down South,” a country-fried answer to “Jersey Shore” set in states like Mississippi and Georgia that regularly draws 4 million viewers in live-plus-7 ratings. 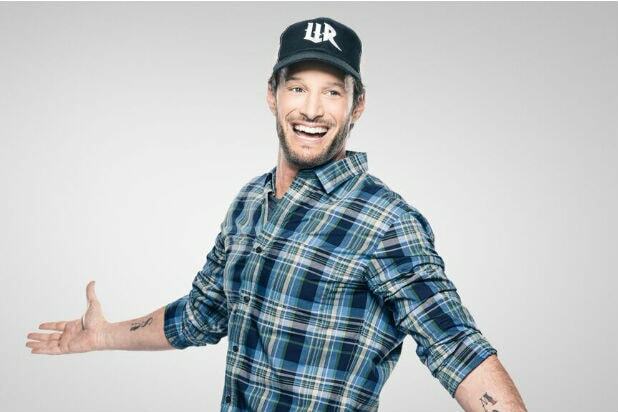 That may explain why the network didn’t subject its baseball-cap-wearing host to a radical makeover. “We want him in flannel shirts and we have no interest in taking his hat,” Dinsmore said. Wolf himself sees “Lately” as his blueprint, specifically in Handler’s earlier years before her open disenchantment with E! set in. “Chelsea, Letterman, they made it like no one was watching. They made it for themselves,” said Wolf. His panel will consist of fellow comedians and a few celebrity and athlete pals including his cousin, actor Scott Wolf, “who only plays roles where he cries. He’s in the top five funny people that I know. And Josh Hopkins, who is so funny and charming,” Wolf said.